"Teeters offers financing plans to fit your goals and your budget"
Apply the money you save in heating and cooling bills to help pay for your new windows & doors. We have several financing options available, including 25 months at 25 equal payments. Pay your purchase off in 25 months and pay 0% interest! Applying is simple and can be done over the phone or in our office. Ask your sales representative for plan details and choose the option that's best for you. Financing through Synchrony Financial. 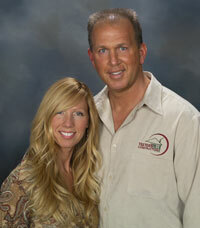 Hi, I'm Brian Teeters and I started Teeters Windows & Remodeling in 1985. We carry multiple, leading brands and will help you find something that fits your style, budget, and needs. We have the experience that comes with having been in business almost 30 years. We carry products from established companies like Pella, Andersen, Simonton, and James Hardie that deliver quality and are warranted for longevity. We have some of the best installers in the industry. We look forward to helping you with your next home improvements or remodeling. 30+ years sales and installation of replacement windows in Columbus Ohio. Dealing in the top window brands at the best prices!